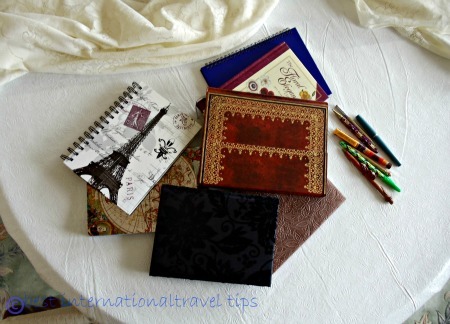 When it comes to how to pack your art supplies, the first question is what are you creating on this trip? Your creations should probably be your first consideration. When travelling for a long period like the winter, I like to have an array of art supplies. If I am going for a short stay, like a two-week vacation, I tend to take less. 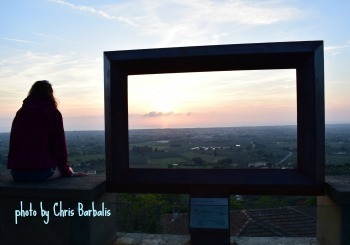 When traveling with others that do not get into creating art while vacationing, it is especially so. What usually happens is I am so busy with site seeing and other activities that I really don't get around to painting as much as I intended. I carry around a whole lot of stuff that I never use. Lately, I remind myself of this and take a minimal amount with me. 1. If taking a course check first with the school or organization, be informed of the art supplies required. Sometimes you will be able to purchase some of these from their store. Very often the items are included in the course fees. When planning to make only a couple of sketches or drawings to put in your journal; there is no need to pack very much, maybe a small watercolour sketch pad and pencils, or watercolour container box and a brush or two. 2.How you will travel will make a difference. Seeing the road is important so don't stuff your vehicle to the maximum, on a car trip. Hopping on and off trains loaded down with your supplies, will be no fun either. What to wear will also depend on the type of art you create and whether it is a paint only trip or a combination of site seeing and other activities. Disposable gloves are great also. If packing everything in the same suitcase, pack art supplies in a separate plastic bag on top of clothes like you would do with your shoes or better yet carry on your clothes and check art supplies in another suitcase, if allowed by the carrier. Don't take anything metal, unless in "checked baggage." I stopped taking my metal watercolor pallet unless checking it. Next time I will purchase a plastic one and fit it in my field journal. Make sure to secure any tube paints in plastic baggies, so they don't spill out. Paper pads can be laid flat; canvas should go in tubes. As always leave space for souvenirs, and items like art books and materials from your course. a half a dozen artists vegetable based colours. You can mix them, and that usually is better anyhow. Cobra has solvent free water soluble paints. 7. Some people use vegetable oil - buy flammables when you arrive. 8. Consider using watercolours, gouache, maybe acrylic or at least water soluble oils as they travel a lot better than regular oil paint. Buy a quick dry medium at your destination. 9. I used to take my nice case that held an array of things that I thought I might need. I still take this on trips where I will be staying in one spot and will be there for months; but never anymore on shorter vacations. I always take a field journal; I have a leather one, and it is lovely but too weighty for flying these days. I am going to purchase something more light weight. I am looking into making something suitable until I can decide the right one to purchase. 10. Make sure to weigh your suitcase, if going on an airplane. Putting a lot of specialty items into your suitcase could make your bag heavy, so be careful when you choose how to pack your art supplies. The airport screener may remove hazardous materials from your bag. Loosing products can be a very expensive proposition, so think carefully before you add your supplies to your bag. Gumbacher has sheets that you can use that state that your paints are vegetable based. This is a nice video of how to pack your art supplies from Lorraine Bell.